Mirroring can be a great way to enhance the visual impact of an image! It can highlight certain elements in a photo, put them in a better perspective, or simply offer an interesting and creative twist. So in case you are looking for a tool that helps you mirror one or more images with just a few clicks, reaConverter is precisely what you need. 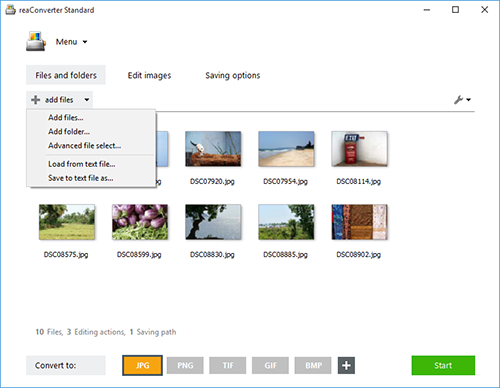 Load all the images you intend to mirror, either by selecting them one by one from a folder or by using the handy drag-and-drop tool. Adding an entire folder of images is also an option here. Select the Edit images tab and then press the Add action button. Then go to the Alteration and Orientation menu and click Mirror. You will now be able to decide if you want to opt for vertical or horizontal mirroring. In both cases, you can check the results of your selection in real time by ticking the Preview button. Finally, go to the Saving options tab and choose a location for your mirrored images. You can save them directly in the source folder, create a new subfolder or enter a customized location from your computer. 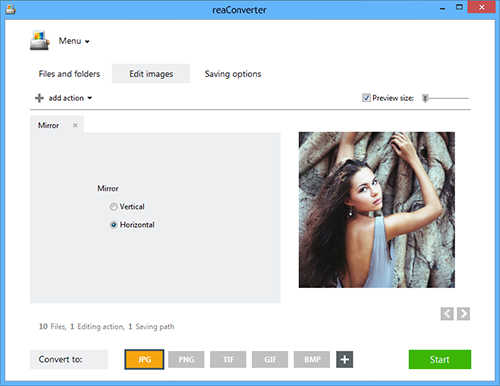 In addition, the new reaConverter allows you to save directly in your Dropbox, Google Drive, Box.com or SkyDrive account. Before clicking on the Start button and completing the image editing, don't forget to select the format you would like for your new images. You can stick to the initial one or choose a new extension from a comprehensive list of over 40 options. 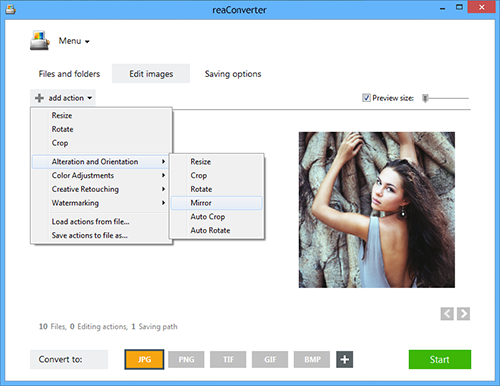 After this is done, simply start the conversion and enjoy your new image files! Command-line mirroring tool is an advanced feature meant for professional use, and is available in Pro edition only.